Hudson, Plymouth, Oldsmobile, Pontiac, Packard. AMC, Mercury, Saturn, Hummer and many more. Some of these car makers had huge hits on there dockets. You know the names: Roadrunner, Superbird, 442, Hornet, GTO, and so on. So what the heck happened? Well, by now every writer has written why they died off. Foreign competition, poor quality, pricing not right, dealership mistakes, and so on. Most are true but I need to tell you as a car guy it bothers me. 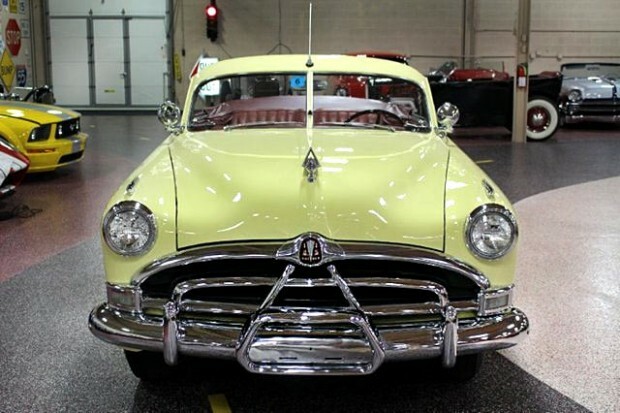 I know the cream rises to the top and not everyone can be a winner but how does a car company like Oldsmobile that built great cars let alone the 442 screw up so badly that GM pulled the plug? Yes, GM has had some winners and currently have a rash of award winning trucks. But if anyone over age fifty stops and thinks about what has gone the list is very long. When I worked for a large Diesel engine company, the Government decided to change the rules on how much pollution came out of the exhaust starting in 2002. We knew the new rules and changed our processes and engines at a high cost. Then, as we finally started feeling good again Uncle Sam said more laws would be in place for 2004. That was a big kick in the teeth and caused another major player to panic and build a bridge engine to get them up to speed because we all knew 2007 was another hurdle. Sure as the sun rises and 2007 rolled in, we were ready. The costs to us was out of this world with training, development, and other associated costs. The new laws were really hurting us and the others but we were told we had to keep cleaning up the engines. We also knew that 2010 was yet another point of concern as the engines at that stage had to be almost perfectly clean. In some cases the exhaust coming out may be cleaner than what was being drawn in. That law forced a big competitor to finally say enough is enough and they decided to buy an engine from another competitor. Well, that competitor was using a lot of EPA credits and a system that nobody thought would really work day in and day out. In the meantime our engines were purring along as we prepared and trained for this moment in time. Anyone using DEF fluid and the SCR systems passed the government testing. The competitor that the other guys went to were struggling so they sued the government and eventually lost the cases as they could not prove there system would work over a long period. To the disgust of the customers, they had a lot of breakdowns and warranty claims worth near a billion dollars. This company was in deep trouble and the buzzards were circling. The solution for them was to buy engines from us because all of our engines were EPA compliant. They still buy engines from my former company but now have switched gears per se and build there own engines using the SCR way. Currently, it is the only system that meets the EPA’s regulations. No more Cat engines, no more Mercedes engines either. Now, let’s go to the automobile. For years the car makers such as BMW, Mercedes, and other Diesel engine car makers were using DEF. That is diesel exhaust fluid. You have a separate tank for the fluid and you do not need very much for an automobile. We found some BMW drivers had a 7-10 gallon tank for the fluid and might fill up every six months. Maybe. The driver has a gauge on the dash and could add this colorless, odorless, no harmful solution himself or wait for a dealer to do it at service time. The light pick up truck market used this design as well so the guy that had the dump truck delivering your mulch was using DEF. All to ensure quality air. No more black soot pouring out the tailpipes polluting everything in sight. It all made perfect sense except the costs to change everything was out in the universe. My former employer understood the governments stand and embraced the change. No way we’re gonna cheat or not do what we were told to do. The costs to us was out of this world and the public for the most part had no clue. It raised the price of a class 8 , that is a large diesel truck 8-15 thousand dollars per truck. And the dealer networks spent untold thousands training the technicians to work on these components. Now, unless you have had your head under a rock you know about the VW Diesel engine mess. If I got my facts correct a team at WVU of all places, discovered that when the VW engine was being tested it was performing within all the laws. I hope now you have a different understand regarding my first few paragraphs on why some companies folded up the tent in the face of troubling waters while others forged ahead and to this day are successful enterprises. Some just couldn’t adjust while other car companies tried to adjust but it was too late. Packard is such a story. Before World War II a Packard was one of the best cars on the planet and if you had one you were special. They invented several items we still use today. But, after the war they lost there footing and by the fifties they were destined to join forces with the dying Studebaker company to stay afloat. Then Studebaker joined AMC to keep themselves from going under. Then, Chrysler with the push from the government bought AMC really for the rights to the Jeep line. But, it was over for Packard and Studebaker by then. The two large, well respected companies would only be a memory. AMC would breath no more under Chrysler and we know what happened years later. Fiat, once a bicycle company that turned into an auto maker bought them out and renamed themselves FCA. To this very day Fiat sales in the United States are horrible. In Italy they are fair. If it were not for getting our government to basically push this deal Fiat and Chrysler may be gone by now. The saga continues as the head of FCA said he would like to merge FCA with GM. I am sure GM once they stopped laughing sent them a no thank you letter. Concluding, what seem like a removal of certain cars from the market is due to simple factors like low sales, is usually behind the scenes a very complicated affair, with more subplots than the best arthouse cinema. Related ItemsLong Gone Car Companies: Its Never A Simple matter. Next Story → Is It Possible To Own A Bad Corvette?